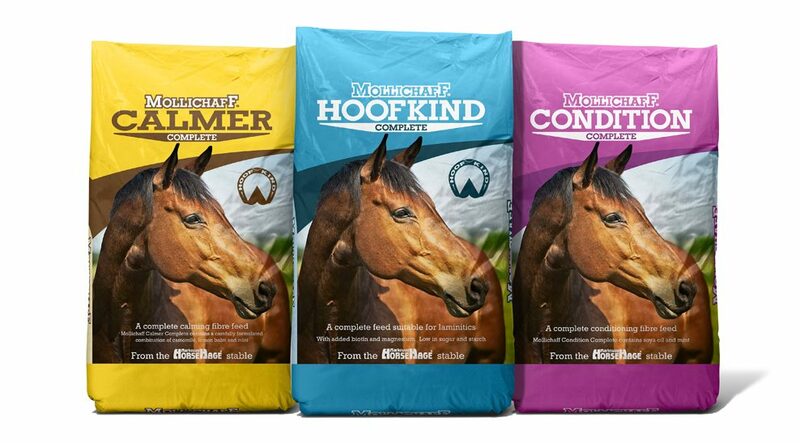 Mollichaff has relaunched its range of three complete feeds with brand new, full colour packaging and a new size of 15kg for all three varieties. 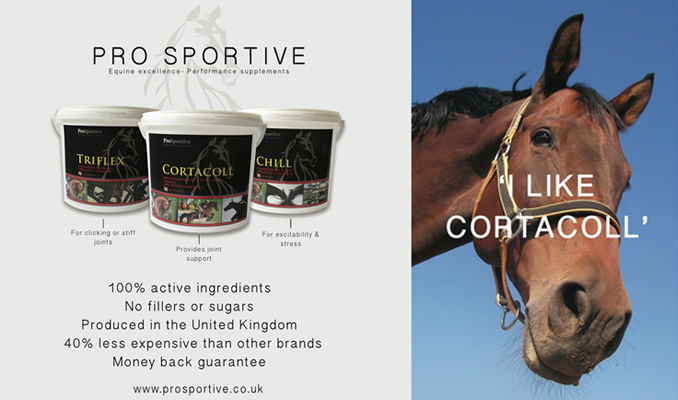 The Mollichaff Complete range offers three fibre-based complete feeds for specific conditions: Mollichaff HoofKind for horses and ponies prone to laminitis; Mollichaff Calmer for nervous or excitable horses and ponies; and Mollichaff Condition for encouraging weight gain and condition. When fed at the recommended amounts, the complete feeds can be used as the sole bucket feed as they each contain a broad spectrum vitamin and mineral supplement and only require good quality forage to be fed alongside. Being fibre-based feeds rather than cereal-based, they are a much more natural way of feeding. To celebrate the relaunch, one bag from the new range contains a ‘Golden Ticket’ to win a pair of VIP hospitality tickets for the Horse of the Year Show (HOYS) for Friday 7th October 2016, which includes the best seats and a three course lunch whilst enjoying the show, so check inside your bag to make sure you don’t miss out! £1 off vouchers are available to download from Facebook and the HorseHage website and don’t forget to check out the HorseHage & Mollichaff Facebook page for a new photo competition to win products from the Complete range.